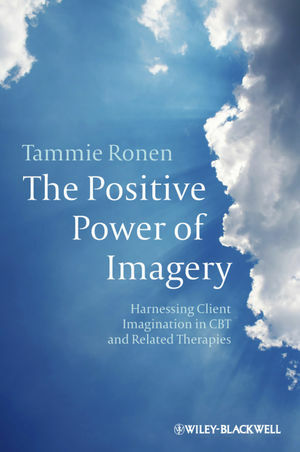 The Positive Power of Imagerypresents the theory and practice of imagery therapy as a creative intervention that challenges therapists to learn the skills for creatively designing personalized exercises to match clients' specific needs, problems, and personalities. Tammie Ronen is a Professor at the Bob Shapell School of Social Work at Tel-Aviv University, where she is in charge of Child Clinical Studies. She is also the Head of the Renata Adler Memorial Research Centre for child welfare and protection. She has written widely in the areas of cognitive behaviour therapy, child therapy, and positive psychology, and is a well known international lecturer on these topics. 2 Thinking Like a Cognitive-Behavioral Therapist. Self-Control Models: An Offshoot of Integrated CBT. Practice: Guidelines for Developing the Client's Profile. Techniques to Facilitate Therapists' Creativity. Practice: Guidelines for Activating One's Creativity. Practice: Guidelines for Increasing Therapists’ Own Ability to Elicit Memories. Practice: Guidelines for Therapist Self-Relaxation Exercises. Pre-Imagery Exercises in Eliciting Images. Pre-Imagery Practice of Client Relaxation, to Set the Stage for Generating Images. Follow-Up to Imagery Work: Reflection, Interpretation, and Meaning Making. Adapting Relaxation Techniques to Children’s Needs and Abilities. Case I: Dianne's Television Phobia and Anxieties. Case III: Daniel's Test Anxiety.